Smart people avoid generalizations, but I’ll just go ahead and wade on in there. Japan is a country of serious foodies. And it’s not just about the massive clusters of fine restaurants — Japanese, French, Czech, what have you — that lurk, barnacle-like, in every other basement or third floor in every big city in the country. It’s the Japanese commitment to all levels of food: the telltale chairs that stand outside popular eateries that don’t take reservations; the astronomically priced produce, swaddled like newborn babies in the supermarket; the long queues snaking through the department store basement, stacked with gourmets awaiting the next great fresh cream cake. Sure, there is the strange-smelling beef bowl at Yoshinoya, cheap conveyor belt sushi and the bizarre affection for KFC for the holidays — but for every one of those things, there is the dazzling aging-beef display at the Tokyo Mitsukoshi, four different kinds of obscure Kentucky bourbons on sale, and mammoth albino strawberries the size of a child’s fist. Food in Japan is like Manolo Blahniks to a Carrie Bradshaw: aspirational. As with all aspirations, you have to work for it. This stuff doesn’t come cheap. And if it does, it doesn’t come easy. Hokkaido in February for me is a whole different brand of Working For It. I don’t take to chilly temperatures; here, it’s -12 degrees Celsius in the daytime. The sky periodically drizzles snow — so much snow, in fact, that the sides of the roads loom skyscraper-like above the pedestrians, threatening avalanche at any moment. Food, any kind of food, requires trekking out in that weather in your most unattractive snow boots, a balaclava shoved over your head to keep your nose from falling off your face. But in Sapporo, there is plenty to make up for it. Big vats of nabe — DIY stews bristling with the freshest seafood or gently cooked slices of meat, studded with cubes of tofu and enoki mushrooms and crackly greens that somehow end up soft and sweet. 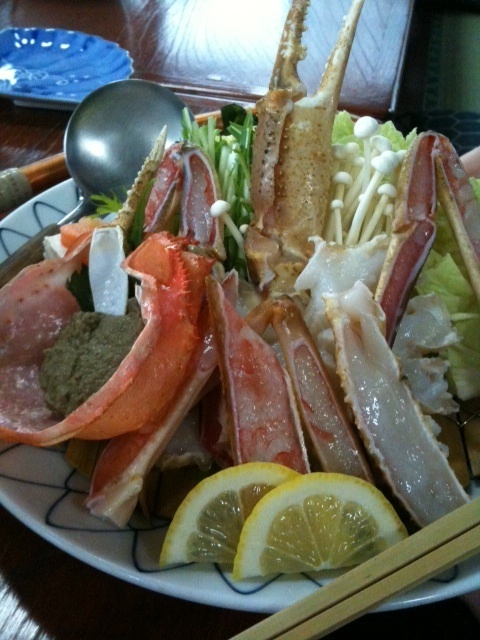 One of the easiest kinds of nabe to obtain here is one featuring kani — snow, hairy or king crab, which hails from the region and is a genuine treat. Restaurants specializing in crab — marked by a giant crab above the entrance — are scattered all over Japan, but the one we found in Sapporo, chosen solely on its proximity to the train station, was luckily also delicious: Kani Honke, which claims to be the first in Japan to focus solely on the mightily yummy crustacean. The many course menus are pretty epic: crab served as sashimi, in sushi, atop grated mountain yam, in stew, simply steamed, and finally, butter-roasted and grilled atop a hot stone. Best of all, the leftover broth from the nabe is eventually added to rice and reduced until a thick, sweet congee is formed — the best possible way to end a delicious crab menu. Crab is not the only thing Hokkaido is famous for. Sapporo is also the lucky, lucky home to not one, not two, but THREE “ramen alleys” — small walking streets lined by all manner of ramen shops, which offer, in Sapporo at least, the ultimate street (or alley-side) food: quick, warming, filling and relatively cheap. You can get your very interesting ramen history here, but if you are like me and think clicking is far too onerous a task, I will attempt to summarize: ramen is delicious. Just kidding. Adapted from a Chinese noodle dish in the early 20th century, Japanese ramen has since branched out into basically three main types — the tonkotsu, or pork bone-based cloudy broth of Kyushu, the clear soy sauce-based broth populated with thick noodles, and the miso-based broth of Sapporo. 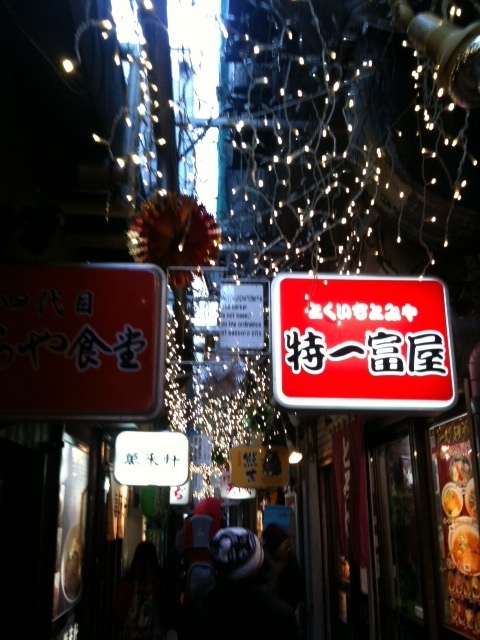 We visited the original “Ramen Yokocho” (Ramen Alley) and found it charming, with just about any type of ramen on offer. It turns out I’ve found a new love. Few things are better than that extra-creamy Hokkaido butter. I will be searching for it in all the Japanese supermarkets I can think of in Bangkok. Late to the party, but just to say I loved, loved, loved BKK and can’t wait to go back. Except that now I am obsessed with planning a trip to Japan! That’s a difficult choice! I love Thailand, of course, but Japan is one of my favorite places to visit. So much fun! I love Ramen too. My favourite kind is Kakuni ramen which slow roasted (4-6 hours)pork belly which is o juicy and succulent and really quite filling. 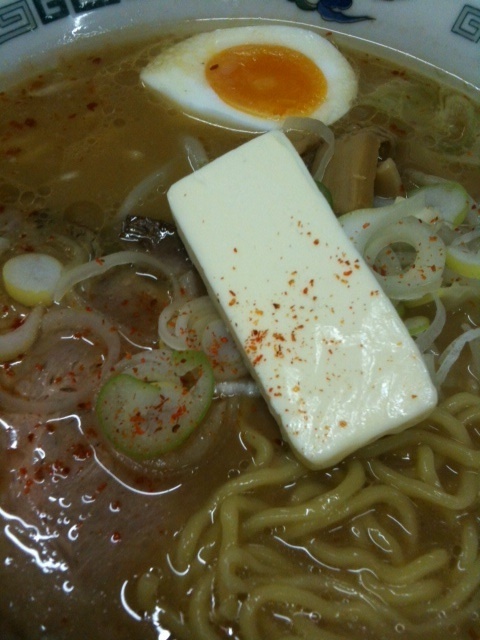 Not a lot of shops have kakuni ramen because it takes so long to prepare. But there are a couple of good ones in Sapporo that I have found. There is one called Meijinbou just a couple of blocks from the Susukino intersection. You have to check it out. It’s amazing. Oh man. If only I’d known this a week earlier! Thank you for the heads up, though, I will definitely remember this for my next trip! Every one of your posts means another three pounds on my aging body–but how much that extra flesh is worth it. Haha. That translates to another 6 lbs for me! 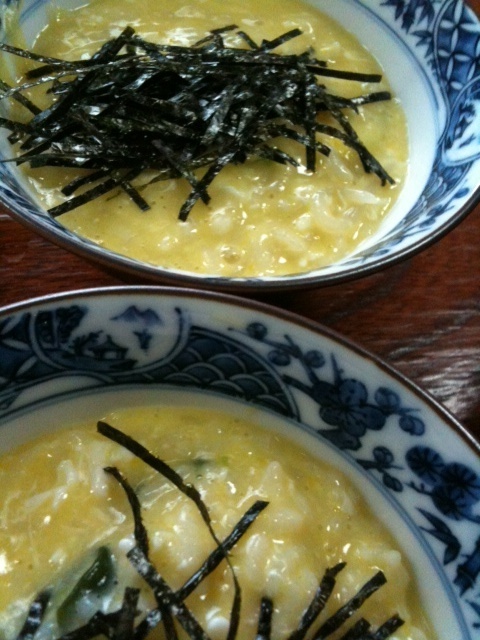 Can’t get the photo of that soothing, yummy crab congee out of my head now! Been following your blog for some time and got ‘the’ book on the 2nd day of moving to BKK – love it and your writing. They have the Hokkaido butter in the Japanese supermarket on Sukhumvit Soi 49 down towards Sumitivej hospital. I’ve forgotten the name I’m sorry. Off to Tokyo, Osaka, Kyoto and Nara for the first time in September and this has whet my appetite even more. Yesssss! Thank you Johnathan! Have a great time in Japan!